Who doesn’t know Markobar.? The martabak brand pioneered by Gibran Rakabuming Raka, the first child of the Indonesian president Joko Widodo in 2015, successfully became one of the famous martabak brands in Indonesia. After graduating from the University of Technology Sydney, Australia in 2010, Gibran Rakabuming Raka or familiarly called Gibran returned to Solo and started a culinary business. Gibran started by pioneering the Chilli Pari catering and then expanded to the culinary martabak called Markobar. 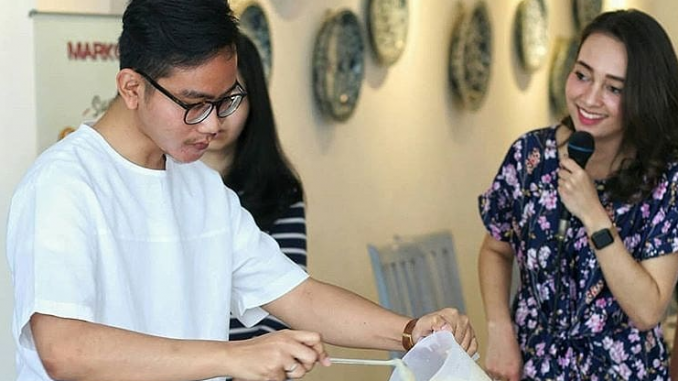 Gibran Rakabuming Raka, Jokowi’s eldest son who was born in 1987 started a culinary business in 2010. Gibran is famous for his tenacious and firm entrepreneurial spirit, so it never occurred to Gibran to support his father’s big name for the success of his business. Unlike the wishes of his parents who asked Gibran to do business in the property sector, he decided to start a culinary business by seeing the great potential for this business in Solo. After successfully undergoing a catering business, Gibran thought to explore the culinary world and open a martabak business with various variants of toppings called Markobar. Markobar began pioneering in Solo in 2015. Markobar has now developed and can be enjoyed also in Jakarta, Semarang, Yogyakarta, Bandung, and Manado. 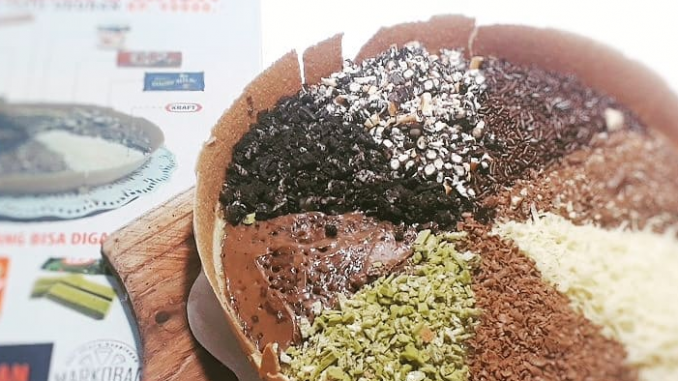 At the moment Markobar is getting more famous, according to Gibran himself, the current sale of Markobar can reach 150-200 pan in a day and priced at prices starting from IDR 45,000 for 1 topping and reaching IDR 90,000 for 8 toppings per pan. The price is quite affordable to reach a wider market. Markobar grew bigger, even arguably Markobar became the pioneer of martabak with many flavors and tooping in Indonesia. This is what makes Markobar selling well and can be accepted by the people of Indonesia.